We would like to thank ALL our members for their patience and understanding since restructuring this project in 2016. We hope that the quality of the donations will be consistent, so that it will give us an opportunity in the future, to review our current payment tariffs. EcoKids is a school fundraising idea that specialises in clothes recycling. We are dedicated to raising money for schools and PTA's through school collections. You can be sure, that with EcoKids' help, your school fundraising or PTA fundraising is simple and hassle free from the start. Through clothing recycling your school will also be helping the environment. We are also now pleased to announce that we are able to help youth organisations such as sports clubs and scout groups with their fundraising efforts! Sometimes school fundraising ideas can prove to be hard work and time consuming tasks but EcoKids takes all the hard work out! Clothes recycling for schools - how does it help? 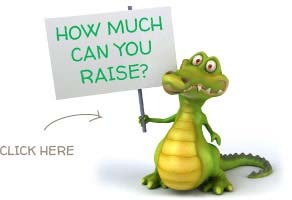 Are you searching for a fundraising scheme for your schools or ptas? EcoKids is a free school fundraising idea with the main aim of raising money for schools. How do we do this? Through school collections and textile recycling! Clothes recycling for schools is a simple fundraising idea that could see your school or PTA raising hundreds! PTA fundraising or something for the pupils to be involved in, our school fundraising idea will work for you! If you are signing up on behalf of a school whether its for PTA fundraising, a staff member or parent, as long as you have the school’s permission you can sign them up today. Let's kick start your school fundraising! We are delighted to announce that our fundraising scheme is open again to youth organisations including Air & Sea Cadets, Boy Scouts, Girl Guides, Riding Schools, Theatre & Performing Arts Clubs and Sports Clubs! Clothes recycling is a free and easy fundraising idea that can help your club raise those much needed funds. Wanting to raise money for some new equipment, a new kit, whatever it may be, our fundraising scheme is sure to help you! Sign up today and let's kick start your club fundraising! As from 1st March 2018, please go to the "WHERE WE OPERATE" page to view the counties and postcodes. PLEASE NOTE WHAT WE ACCEPT & DO NOT ACCEPT HAS BEEN UPDATED! WE ARE DELIGHTED TO ANNOUNCE THAT ECOKIDS ARE BACK!